The Axon 24 Y-XLR features a single female XLR to dual male XLR connectors. Each split is comprised two high purity Silver plated Copper 24 AWG conductors. 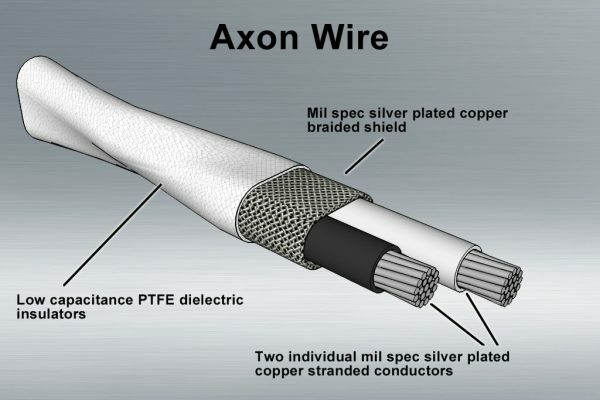 Conductors are comprised of 19 very fine individual wires wrapped in a low dielectric PTFE insulator then shielded in a Silver Plated Copper braided shield with 85% minimum coverage. 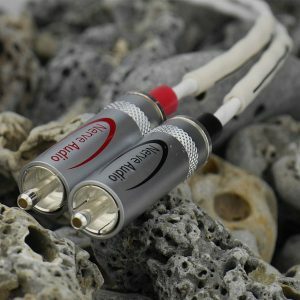 The AXON 24 raw cable is manufactured and hand terminated in the U.S. using Neutrik Silver plated XLR’s. 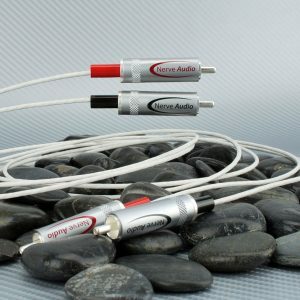 This cable is durable and excels in every way audibly. It is strongly recommended for audio professionals and audiophiles alike. 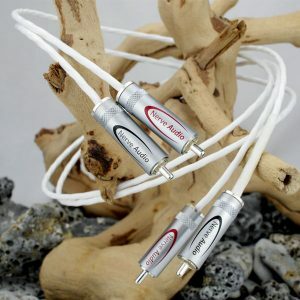 The Axon 24 Y-XLR features a single female XLR to dual male XLR connectors and the RCA version Each split is comprised two high purity Silver plated Copper 24 AWG conductors. 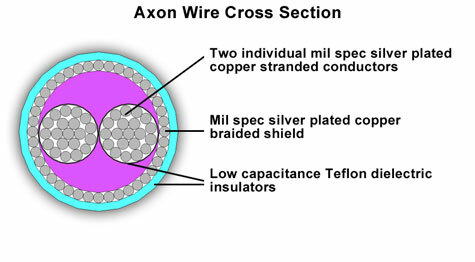 Conductors are comprised of 19 very fine individual wires wrapped in a low dielectric PTFE insulator then shielded in a Silver Plated Copper braided shield with 85% minimum coverage. 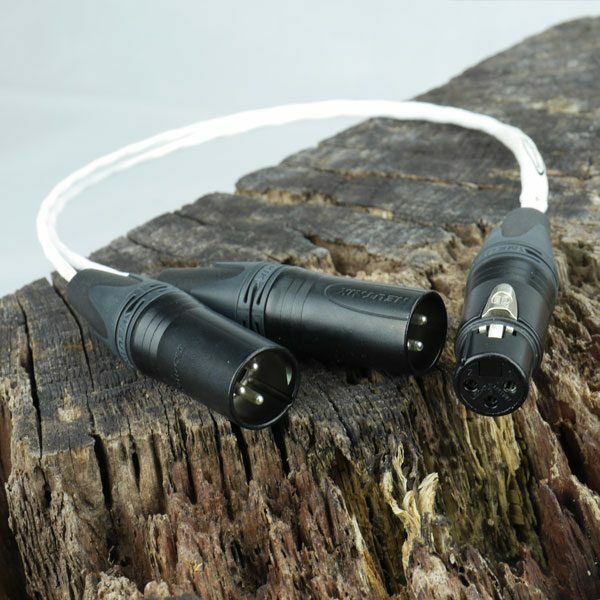 The AXON 24 raw cable is manufactured and hand terminated in the U.S. using Neutrik Silver plated XLR’s. 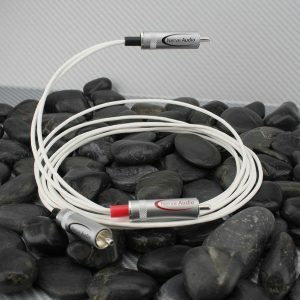 This cable is durable and excels in every way audibly. 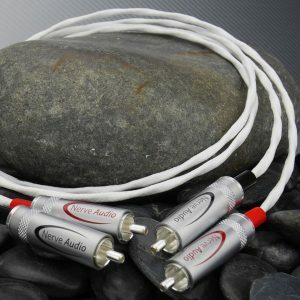 It is strongly recommended for audio professionals and audiophiles alike.